"Peter Raised Tabitha From The Dead"
I made a needle and thread cupcake template for you to print and cut out. You could use this template for something else if you need to. 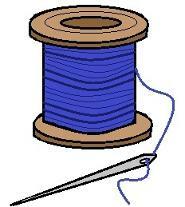 I used some decorative cutting scissors and cut the needle and thread out. 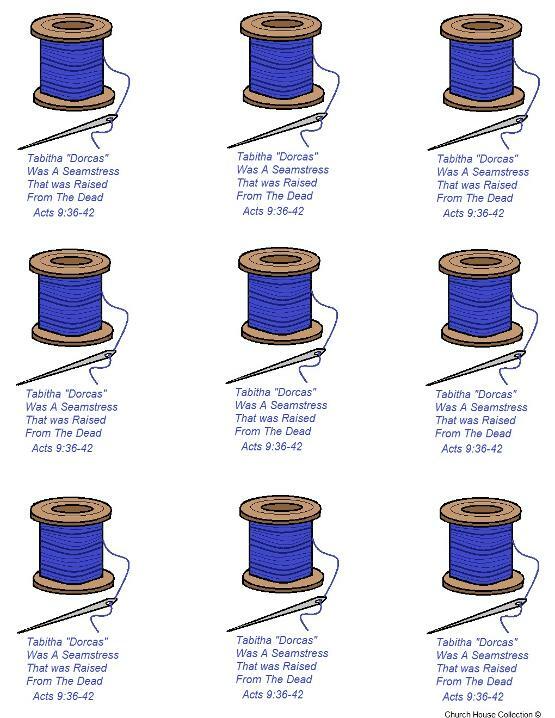 It has words below it that say's, "Tabitha "Dorcas" Was A Seamstress That Was Raised From The Dead" Acts 9:36-42. I taped a toothpick to the back of the picture and stuck down in the cupcakes. 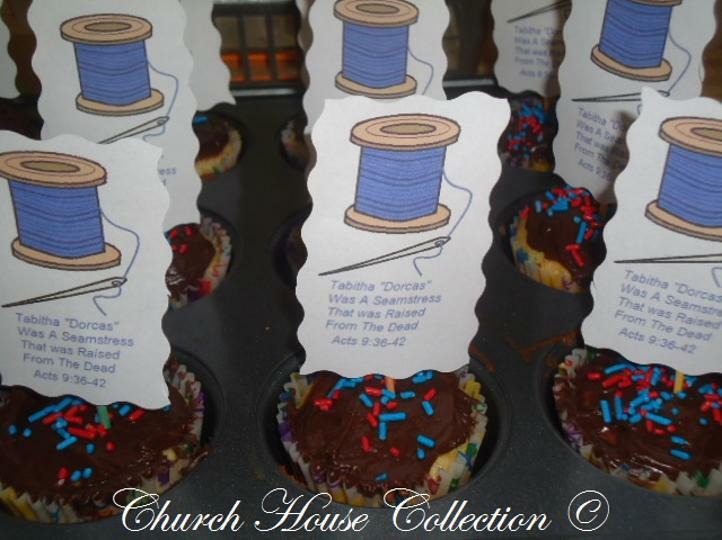 If you don't like to cook or make cupcakes for Sunday school then try something easy like buying debbie cakes and taping the picture to the outside of the snack. You could always fill a ziplock bag with other treats like cereal and then tape it to the front of the ziplock bag. If your really bored and want to go all out..lol...then try making some cookies in the shape of a needle and thread. Or you could bake a needle and thread cake. Or try the frozen ice pops and put them in a bucket or container and print a large picture of the needle and thread out and tape it to that. You could open the picture up in your paint program and type some words on it if you need to. There are so many different things for you to to do. Check out "The Life Of Tabitha "Dorcas" Lapbook" craft that goes with this snack.